Very common file system issues while copying large size file to our USB Drive. Copying any single file which is larger in size, example single file in 5GB size will show error messages on windows operating system " The file is too large for the destination file system ". This issue is purely by FAT32 file system. In FAT32 file system, we cannot copy or movie a single file which is larger in size to USB drive even though your destination has huge amount of availability storage. Usually most of USB drives come with FAT32 file system, which can be easy access in all kind of devices like Car Audio system and especially to connect to Mobile phones via OTG. It is very simple to solve this issue and can copy any size files to your USB drives by changing its file system to NTFS. You can convert to NTFS or format to NTFS. 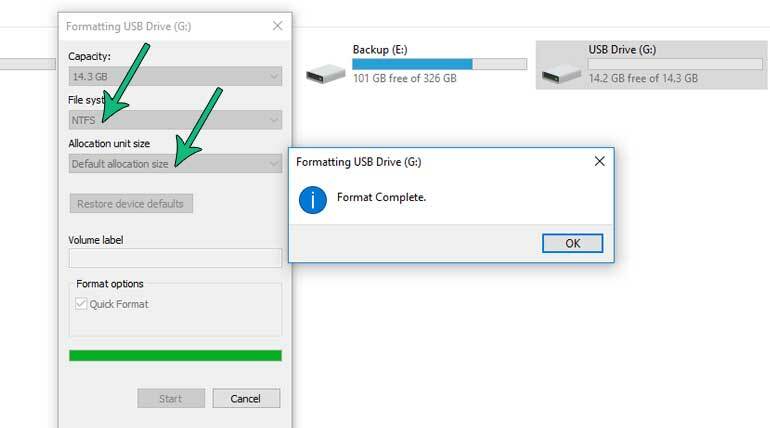 Converting to NTFS will not lose existing files in your USB drive but Formatting will erase / delete all files in your USB drive. But in our experience, we prefer to take backup of your USB drive files and do format by changing file system from FAT32 to NTFS. We have explained few steps to change FAT32 file system to NTFS in our screens below. 1. 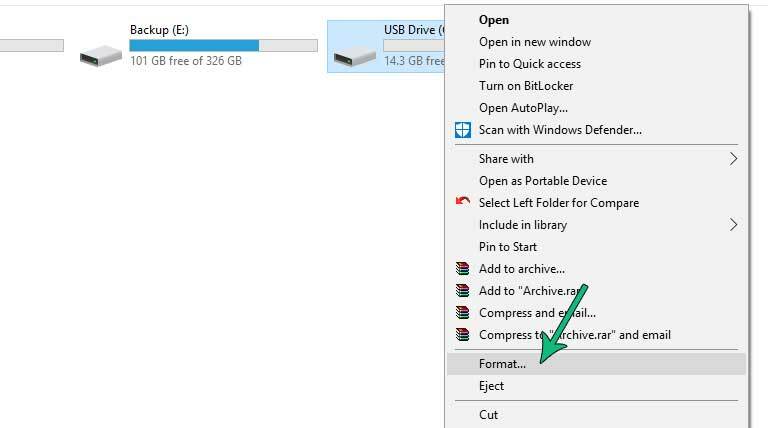 Right click on USB drive as shown in below image and choose Format. 2. Choose file system as NTFS and Allocation unit size as Default allocation size, as shown in below image. Now you can copy any size file to your USB drive without any issues. Note: Changing from FAT32 to NTFS file system to your USB drive may not accessible to your mobile phone via USB On-The-Go (OTG) cable. But NTFS file system USB drives can access your mobile via OTG, If you follow our above mentioned steps with POINT 2 Image. Also, car audio system not accepting NTFS file system USB play. If you want to reverse your file system, just choose FAT32 and follow the same.